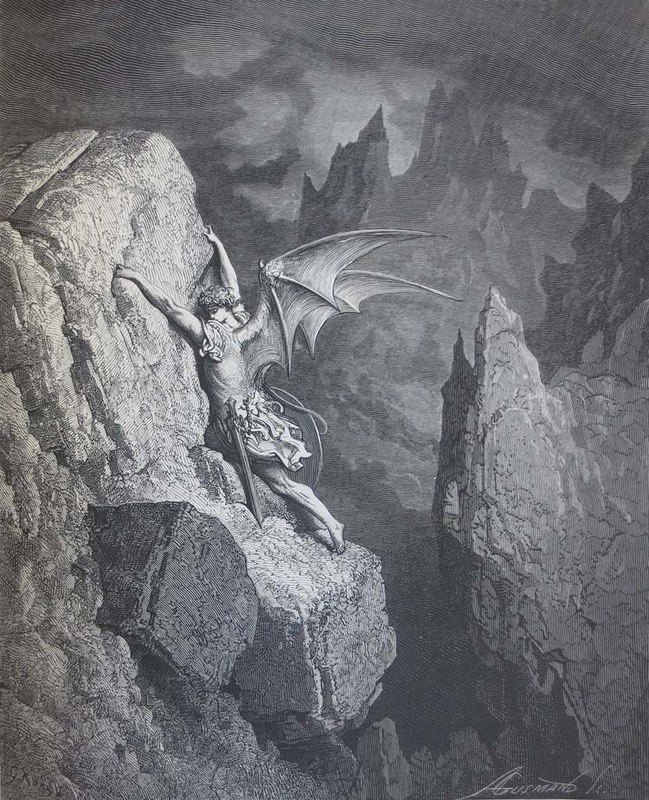 Milton's Paradise Lost / Illustrated by Gustave Doré. London: Cassell, Petter, and Galpin, Ludgate Hill, E.C., 1866. 2 Volumes. Gustave Doré is often considered the last of the Romantics artists. His etchings are noted for taking on the qualities of the mezzotints used by John Martin in his 1827 edition. Martin and Doré are often discussed together because of their shared sense of gloom and horror in many of their scenes.